The United Nations Sustainable Development Goals (SDGs) are 17 goals with 169 targets that all 191 UN Member States have agreed to try to achieve by the year 2030. 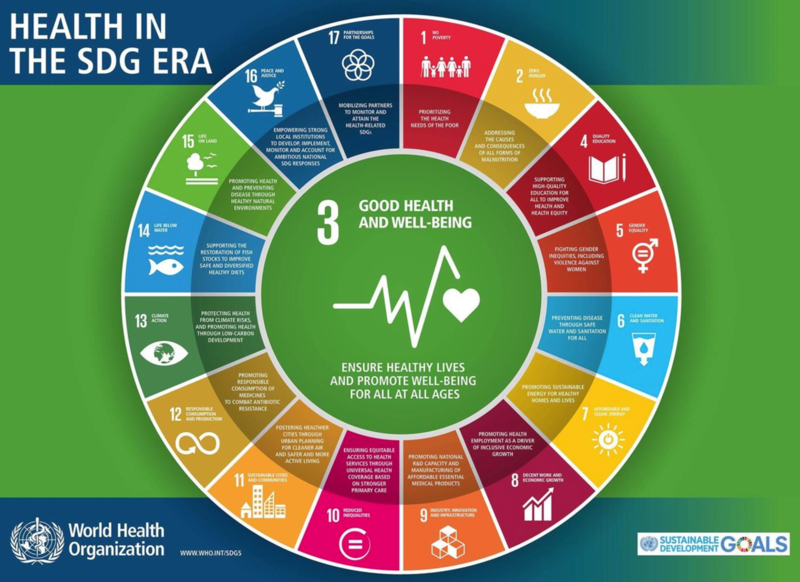 Health has a central place in SDG 3: Ensure healthy lives and promoting well-being for all at all ages, underpinned by 13 targets that cover a wide spectrum of WHO's work. Almost all of the other 16 goals are directly related to health or will contribute to health indirectly. The new agenda, which builds on Millennium Development Goals, aims to be relevant to all countries and focuses on improving equity to meet the needs of women, children and the poorest, most disadvantaged people.